Comments-Three lots on beautiful Tew Lake. Lots 1 & 2 are just over .34 of an acre and Lot 3 is .44 acre. 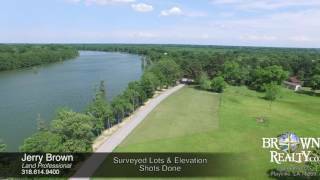 These lots each have over 100&apos; of frontage on scenic Tew Lake. Tew Lake has remained relatively undeveloped and is a low traffic lake with great fishing. Each lot comes with access to a nearby boat lauch. Lots on Tew Lake dont come up often so dont miss out on this opportunity, the lake is calling!